You are the star of the show! Turn your holiday into an unforgettable experience. This is Garden Experience’s team’s main objective at every one of our establishments and it’s something that we achieve through the following 3 fundamental values: being welcoming, fun and creative. At Garden Hotels we are very proud to offer an animation team composed of our own animators, all selected and trained according to requirements that allow our clients to enjoy high-quality and varied entertainment. Garden Experience’s method consists of helping guests escape from their normal routine with a complete programme of activities designed in accordance with different nationalities, age groups, the latest trends, our clients’ interests and, of course, their own suggestions. Families form the main clientele of Garden Hotels and, because of this, we offer adults, children and teenagers their own different programmes to keep them motivated and for them to enjoy themselves and stay fit & healthy during their stay. The children are our main focus at Garden Hotels and so, because of this, our Woogi Activity Club, will become your little ones’ new favourite place during their stay. At this activity club, animators will help children develop their own sense of creativity through arts & crafts, games, themed workshops and activities & sports, all accompanied by our fun mascot, Woogi. In the afternoons, there’s the Mini Disco, which is a fantastic party where children sing the songs and dance the steps they’ve learnt during the day with Woogi. The activity programme is appropriately divided into two age groups; 4-6 years (mini) and 7-11 years (maxi). 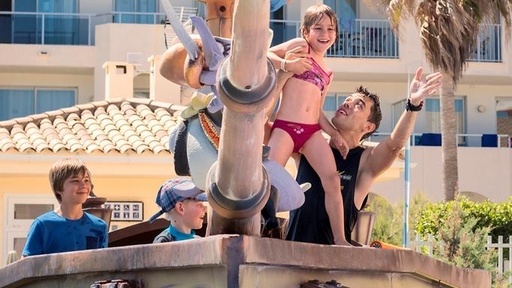 Apart from the Woogi Activity Club, some of Garden Hotels family establishments offer a splash pool, or a small water theme park where children can play and have fun on the slides, attractions, etc. ..
And, finally, we have the Children’s Buffet, which offers special menus for children to enjoy eating healthily. At present, we offer a children’s buffet in the following hotels: Playa Garden Selection Hotel & Spa, Marinda Garden Aparthotel, Green Garden Aparthotel y Tropic Garden Hotel & Apartments. Adults can also enjoy a complete programme of traditional sport (football, tennis, volleyball, paddle tennis, archery), water sports (water polo, water basketball, aqua gym) and guided excursions led by either our own animation team or external organisations. In addition to this, adults can enjoy themed days like Experience Day or Fitness Day with competitions and sport games & activities centred on health & fitness like yoga, pilates and Nordic walking. 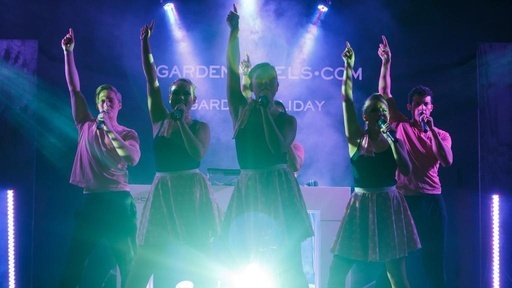 Every evening there’s always a party going on at Garden Hotels where you can enjoy themed shows, magic shows, musical performances and much more. As for teenagers, the Garden Experience is based more on peer contact to try to form a diverse group that enjoys a wide variety of dynamic activities, games and sports. Leisure, sports, shows and much more!